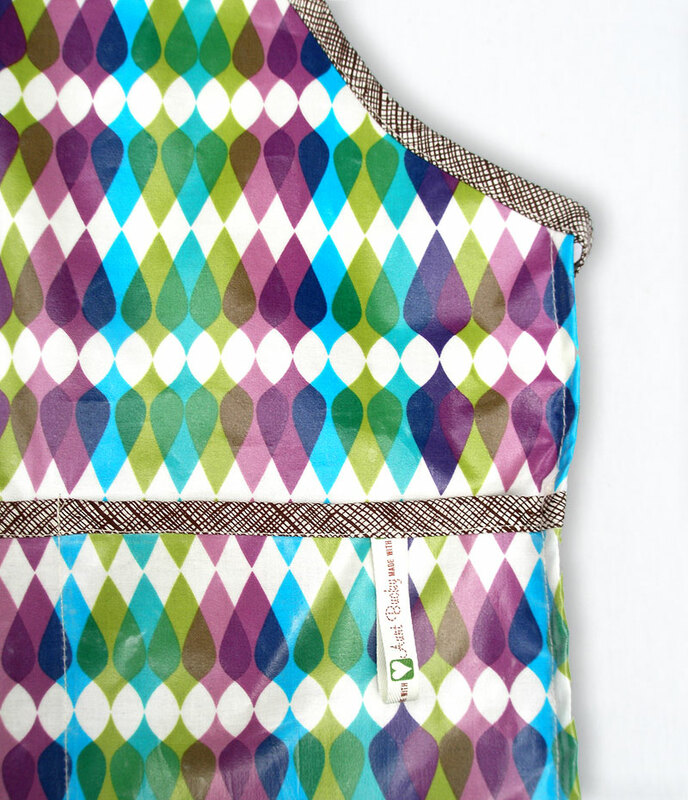 ‘Purple Rain’ apron is a laminated cotton fabric that repels water and that you can just wipe off clean. Use anywhere: crafting/building, grooming the pets, cutting hair, gardening, or cooking in the kitchen you will stay dry and clean. 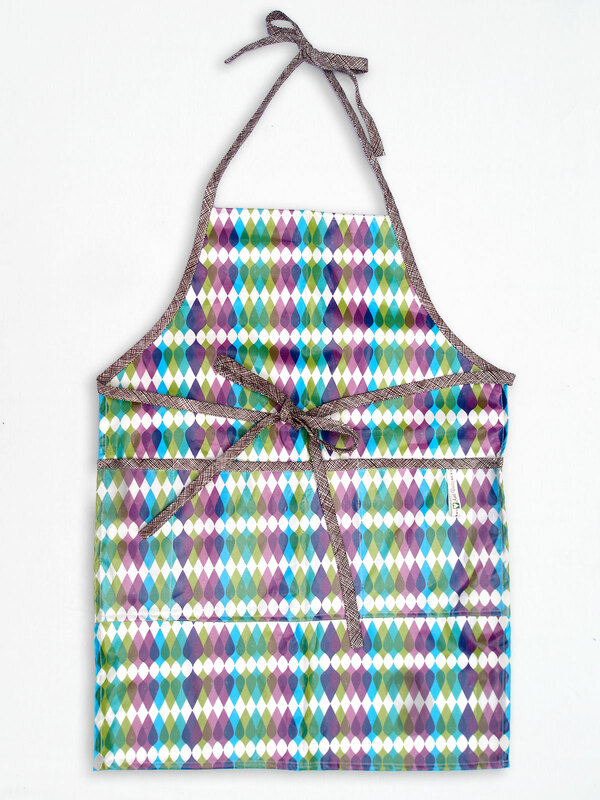 – Adult/Teen Purple Rain Apron is sized for teen-aged children and adults. 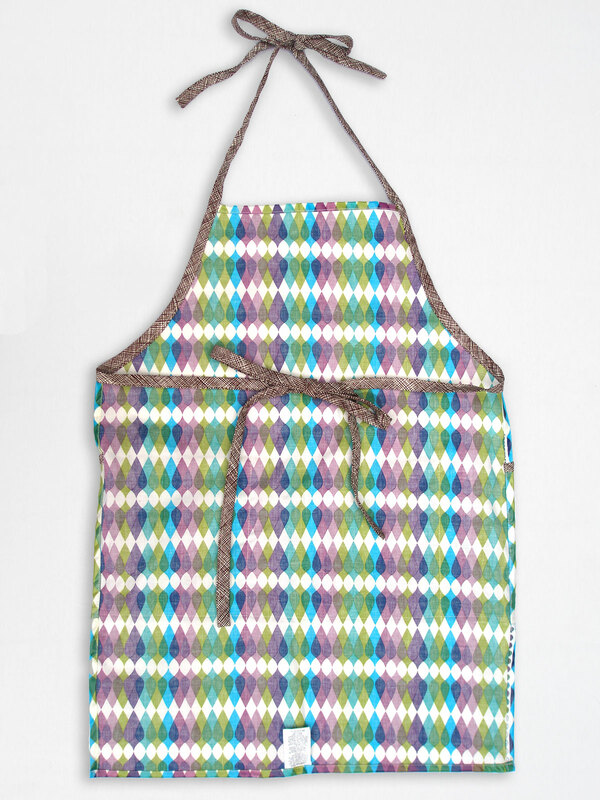 SKU: AuntBucky-PR_Apron. Categories: Aprons, Sale. Tags: adult apron, apron, art smock, cooking apron, crafts apron, laminated apron, painters smock, salon apron, smock, tool apron, waterproof apron. Adult Teen Purple Rain Laminated Apron is a laminated cotton fabric that repels water and that you can just wipe off clean. Use anywhere: crafting/building, grooming the pets, cutting hair, gardening, or cooking in the kitchen you will stay dry and clean. Adult Teen Purple Rain Laminated Apron makes an amazing gift for the “foodie” in your life. It also makes a thoughtful gift for a hostess or neighbor. About our Designs: Playing off of the design technique common to quilting in which bits and pieces of fabric scraps collected over time are pieced together to form something new and different, all of Aunt Bucky’s designs include textiles gathered from varied sources, including fabrics no longer in production and by textile artists who they themselves limit their fabric quantities and print runs. As a result the Aunt Bucky line is ever evolving and truly unique. Our collections will always include the same style selections and design sensibility, but the individual fabric prints may vary. This process is therefore somewhat improvisational and produces near one-of-a-kind pieces. – Adult Teen Purple Rain Laminated Apron is sized for teen-aged children and adults.